What are Water Service Fittings? JDP can boast the most comprehensive range of compression fittings and adaptors with its range from Plasson, a supplier that gives genuine commitment to quality. The basic fitting is a dedicated product for joining metric PE pipe. It will securely join the pipe without any additional components. 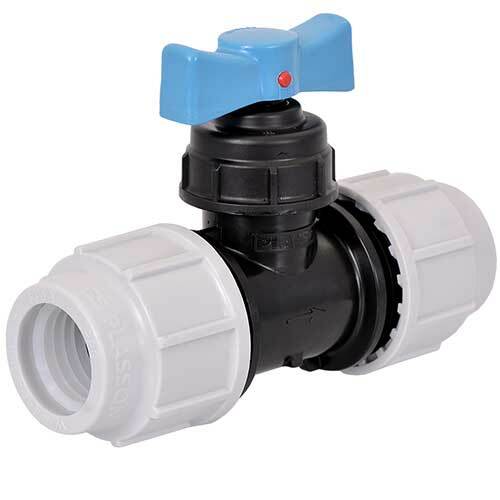 The fittings can be easily converted for use with other materials simply by adding a conversion set. We offer a full range of conversion sets to provide exceptional adaptability. These innovative products have now revolutionized the way of connecting polyethylene pipes. Undo the nut until 3-4 threads are visible. Insert the required Pipe Liner into the pipe. Insert pipe into the fitting until the stop. Tighten the nut firmly with a Plasson wrench.